When most of us think of “rights,” we imagine things we are free to do, like speak our minds, or practice a religion, or sell something that we have made. We assume, when we imagine these actions, that there is nobody stopping us from doing them. When we study history, however, we realize that many people in the past lacked—and a great many around the world today still lack—the freedom to exercise many of the rights we take for granted. The American Founders, however, argued that people have rights regardless of whether they are able to put them into practice. This is why they called these rights “natural.” They are part of what it means to be a person. They could be denied and violated, but only under carefully limited circumstances could they rightfully be taken away. Governments were legitimate to the extent that they protected rights. Those that arbitrarily took them away possessed no moral authority. When the Founders wrote in the Declaration of Independence that “all men are created equal,” they were not ignoring the obvious differences that make people individuals—differences in appearance, personality, aptitude, skills, and character. All men are equal in the sense that, since we are all human, we are born with certain inherent, natural, and unalienable rights. Those rights include “life, liberty, and the pursuit of happiness.” This essential equality means that no one is born with a natural right to rule over others without their consent, and that governments are obligated to apply the law equally to everyone. Of course, in order to protect the rights of peaceful people, it could sometimes be necessary to infringe the rights of aggressors. The Founders understood that criminals who are a threat to the safety and property of others, for example, need to be prevented from exercising the right to move about where they please. 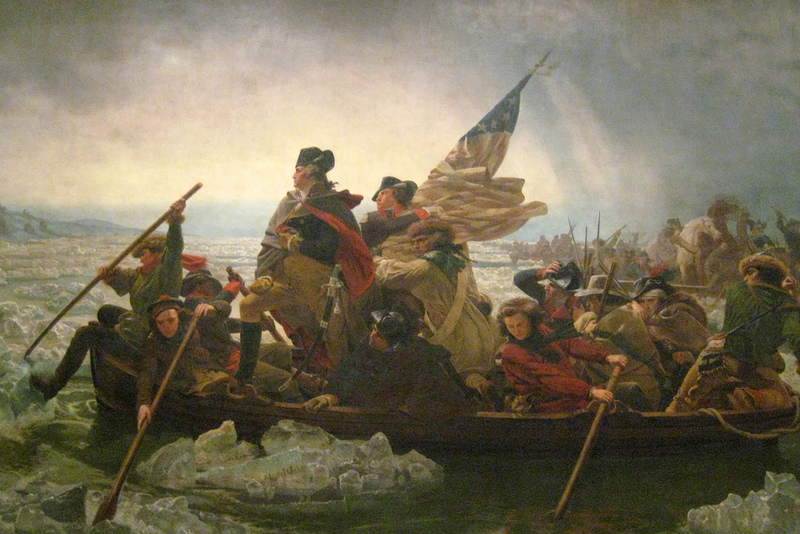 George Washington is known as the "Father of His Country." 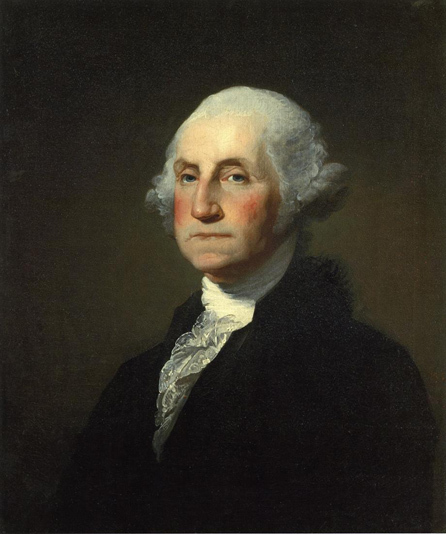 He served as the commander of the Continental Army during the Revolutionary War, he was president of the Constitutional Convention, and he was the first President of the United States. When the Constitution’s Framers wrote, in the Fifth Amendment, that “no person shall be...deprived of life, liberty, or property, without due process of law,” they were acknowledging that sometimes a person can be deprived of these rights, even though they are part of what it means to be a person. In other words, a right is one thing, but the freedom to exercise it is something else. The Founders were well-read in history, so they understood that most people in the world could not easily exercise their rights to practice a religion, or keep the money they earn. They were proud of their heritage as Englishmen. In keeping with the theme of such British documents as the Magna Carta (1215), John Locke’s Second Treatise on Civil Government (1690), and the English Bill of Rights (1689), they approached the task of guaranteeing liberty by limiting government. While the rights listed in the Declaration of Independence—life, liberty, and pursuit of happiness—were inalienable, the Founders understood that individuals are often stopped from exercising them. Indeed, this was the very purpose of the Declaration of Independence: to explain that King George III’s violations of the colonists’ inalienable rights justified the American Revolution. The Founders knew full well that while we are born with rights, we need some protection in order to have the freedom to exercise those rights.This principle helps explain the difference between “natural rights” and “legal rights.” While natural rights are innately part of being human, and exist prior to any culture or society, legal rights are those that are acknowledged and protected by a given government.So, in the Founders’ understanding, natural rights would include the right to life itself, the right to think for oneself, the right to self-defense, and the right to keep what one has worked honestly for, among others.Legal rights would include the right to vote, the specific methods by which fair trials are conducted, and copyrights and patents–all of which might be defined and protected in different ways in different countries or states, based on their particular customs and beliefs. The Founders also recognized, from reading history as well as from their own experience, that governments are often the greatest enemy of individual rights. At the same time they knew that without a government to restrain them, people tend to form gangs or rely on their families and tribes to protect them. These groups war against one another, and make the exercise of individual rights just as unlikely as under a tyrannical king. Of course, representative governments—although most likely to protect individual rights—could also be the means through which the rights of individuals are trampled. In the 1830s, Alexis de Tocqueville helped to popularize the term “tyranny of the majority,” but John Adams had helped introduce it in 1788. It could not have been lost on the Founders when they asserted that the British intended to enslave them, that their own laws enslaved hundreds of thousands of African Americans. The way to secure inalienable rights, the Founders believed, was to consent to giving up a small amount of our freedom so that government has the authority and finances to protect our rights. In other words, even though we are born with rights, they might be rendered useless without an effective means to protect them. Sometimes self-defense was not enough. This is why, the Founders thought, we needed a government. But it must be a government faithful to sound principles. In order to achieve this, the Founders believed we needed leaders who were wise enough to avoid mindless wars and destructive economic restrictions, and strong enough to enforce law and order. While many rulers in history believed they deserved authority because they had been born to powerful families, the Founders believed that leaders should rise to the top by demonstrating their abilities and goodness. In other words, they didn’t think that just anyone is worthy to lead others. They held to the idea, as Thomas Jefferson explained in a letter to John Adams, of a “natural aristocracy,” in which people earned authority to lead in government based on “virtue and talents”(Thomas Jefferson to John Adams, October 28, 1813). The Founders thought that a free society could only flourish if its leaders are virtuous—which means that its citizens must be able to recognize virtue when they see it. They understood that even virtuous leaders, however, can succumb to the temptation to abuse the rights of others, so they knew these leaders needed to be restrained from exercising their cleverness and strength in ways that undermine individual rights. This is why they designed a federal government that would have limited power, and whose branches would check one another. Ultimately, however, the Founders understood that freedom would depend on citizens remembering that government derives its authority from people who consent to give it that authority, and that it therefore must work to serve the common good, treating every citizen equally. Freedom depends on citizens who care enough about preserving it to really evaluate the people who run for office, and to elect those who demonstrate wisdom, restraint, and personal virtue. Most of all, freedom depends on citizens having the wisdom, courage, and sense of justice necessary to take action when they see government overstepping its bounds. What does it mean for certain rights to be "inalienable"? Inalienable rights are rights that government cannot violate under any circumstances. Inalienable rights require individuals to perform certain actions in order for others to enjoy more freedoms. Inalienable rights are natural rights that only exist if recognized by a country’s constitution. Inalienable rights are natural rights with which all humans are born; governments might wrongfully violate them but can never take them away. How did the Founders understand the phrase, “All men are equal”? All property-owning, white men are equal. All humans are entitled to live in a society that provides them with sufficient food, shelter, and other necessities for life. All humans are born with certain natural rights. All men are equally entitled to jobs that pay a living wage. Which of these is an example of natural rights (as opposed to legal rights)? The right to drive a car. The right to think for oneself. The right to jury trial by one’s peers. Which of these did the Founders believe could be threats to individual rights? Pure democracy (decisions based on majority rule). Which of these documents did NOT influence the Founders’ ideas about natural rights? John Locke’s Two Treatises of Government. The English Declaration of Rights. France’s Declaration of the Rights of Man.